For those visiting Lehi, Utah for the first time, the John Hutching Museum of Natural History offers plenty of things to do. The museum started in 1955 when John Hutchings together with his wife Eunice made a donation to the establishment. Items such as minerals, rocks, shells, fossils, eggs, stuffed birds, pioneer items and Native American artefacts were all given away here. The collection of items continues to grow until today as friends of John Hutchings donate them in kind. CALL OUR OFFICE AT 801-753-9005 TODAY! What makes the Hutchings Museum a good place if you’re looking for something to do in Lehi is that you get to learn hands-on. There are interactive exhibits being offered where people can experience firsthand while attentive interns guide visitors all the while. For those majoring in Archeology, Anthropology, Geology, Paleontology, Biology or History, you can also apply for an internship at the museum. The interns are the ones who will provide the educational tours, market the exhibits, catalog artifacts, guide visitors and much more. The Fossil and Shell Room – Samplings of what the museum has to offer include dinosaur bones, coprolite, a molar and a piece from a Wooly Mammoth’s tusk. A wide variety of corals, shells, sea urchins and other South Sea artifacts can be seen here including native hunting and living amenities. The Bird and Egg Room – This section offers one of the finest collections of bird eggs in Utah. There are trays and cases of more than 400 clutches of Utah County bird eggs while mounted specimens of birds and animals are also on active display in the collection. Rock and Mineral Room – This area houses minerals which contains hundreds of specimens. Gems such as opals, garnets, topaz, tourmalines, sapphires, amethyst, turquoise, beryl, kunzite and Herkimer diamonds can be viewed here. Wild West Room – Lehi was a place where violent murders, gambling dens and growing speakeasies happened. In 1930, the first ever jail was built in the town and was subsequently moved to its present location by the year 1957. The jail was in use until the early 1980s. People visiting John Hutchings Museum of Natural History can explore this interactive exhibit, being able to shut themselves away. Native American Room – This area features spear points, arrows, flaking tools, hide scrapers, bead drills and knives of the Native American people. You can also find red and grass baskets including clay pots on display here. Pioneer Room – Finally we have the Pioneer room where visitors can check out the primitive tools used by the adventurers and explorers many years ago. There are also log cabin homes here including service pieces and glassware that are on display. School slates, stoves, stage coach foot warmers and candle snuffers can also be expected. What makes this place even better is the display of firearms that were used by the Pioneers. In order to get to the Museum from I-15, you need to take the exit 279 where you will be led to Lehi’s Main Street. You should then head west on Main Street and keep going about a mile until you arrive at Center Street. 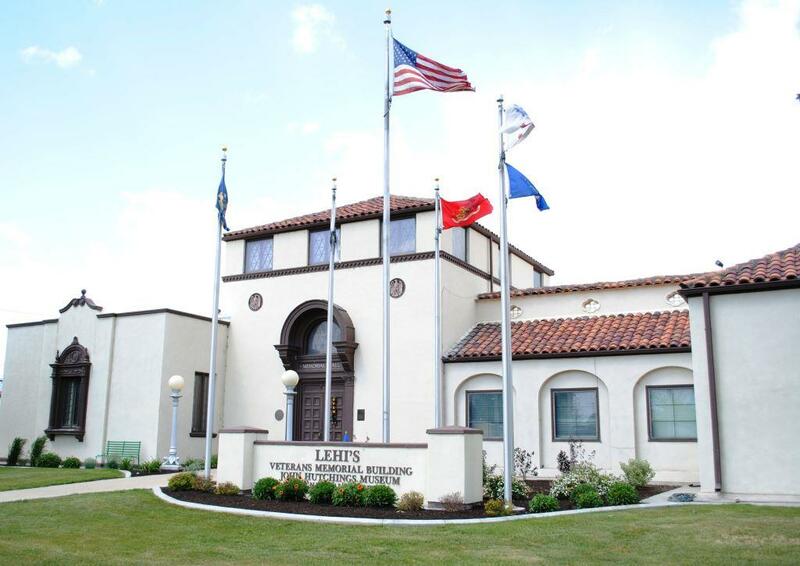 Head north a block, and you’ll find Hutchings Museum which is located in the historic Veteran’s Memorial Building.